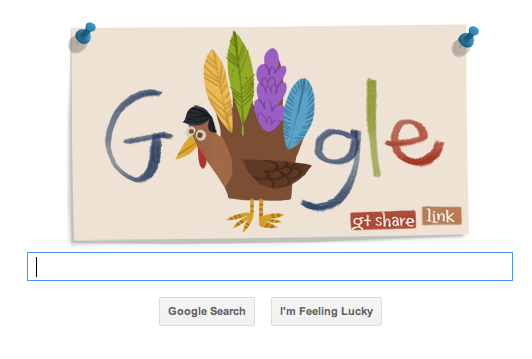 Why did I laugh you ask…because this turkey looks an aweful lot like a “hand turkey.” I have read a few blog posts this month about the dreaded hand turkey. I’ve also heard stories of classroom teachers asking the art teacher to help them create a hand turkey with their students. The thing about the hand turkey, whether you like it or not, is that after all these years it still seems to be the primary art experience kids have when learning about Thanksgiving. The first Thanksgiving was held in 1621 with the Pilgrims and the Wampanoag Indians. The Pilgrims wanted to celebrate their first successful harvest. From what I can find out, the Pilgrims most likely didn’t eat turkey during the feast at all, but duck and venison…but how would kids make a “hand deer”? Here are two easy and fun crafts for your child to do Thanksgiving morning while you are preparing that big ‘ole turkey. 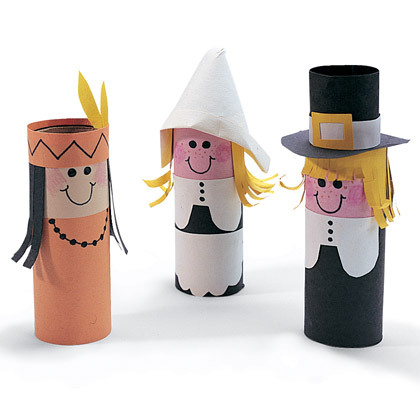 I found this craft on Disney’s Family Fun website to make Pilgrims and Native Americans using good ‘ole toilet paper rolls and construction paper. How cute! 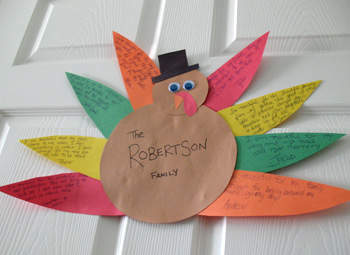 This is a great craft, from Kaboose, to have your children make to show how thankful they are this year. In fact, you could have a pre-cut feather at every table setting and have your guests write down what they are thankful for at the table dinner. Read them aloud before dinner and then have the kiddo’s assemble them onto the paper turkey before dessert. What kind of art projects do you do with your child to celebrate Thanksgiving?